Immaculate Heart of Mary School educates children from Kindergarten through 8th Grade in a positive, faith-centered environment. Located on Beechmont Avenue in the heart of Anderson Township, transportation is provided through 5 neighboring districts: Batavia, Forest Hills, Milford, New Richmond and West Clermont. Nearly 20 buses transport hundreds of students each day to and from school. In addition to transportation opportunities, IHM School also offers daily Before and After Care services to meet the needs of working parents and partners with them for their child’s academic success. 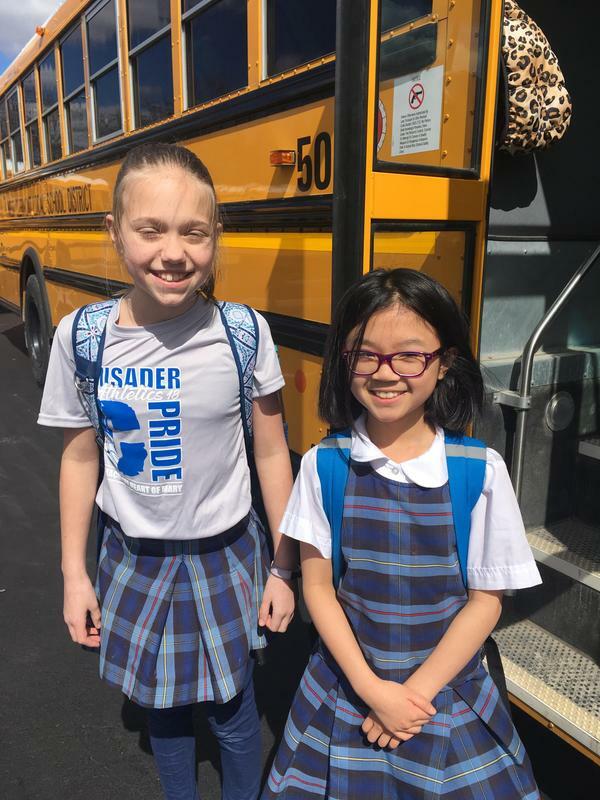 Immaculate Heart of Mary School is currently accepting registration for the 2019-2020 academic year, with tuition assistance available. Please contact the Admissions Office at 513-388-3020 for more information or to schedule a tour.